The Law Office of Jeffrey Friedman, P.C. offers a free consultation to help you understand whether you have a case or not. Yes. The Law Office of Jeffrey Friedman, P.C. is available after normal business hours and on weekends to suit our clients’ needs. How long does my case take to get to trial? In general, cases can take years to get to trial. The Law Office of Jeffrey Friedman, P.C. 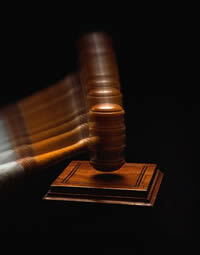 seeks to complete the pre-trial work as efficiently as possible and get cases ready for trial as quickly as allowed. There are deadlines imposed by law relating to the bringing of all types of lawsuits. The deadlines may vary depending on the type of case and the facts involved. If you believe that a deadline is approaching, please consult with an attorney promptly. I was hurt on my job, and I am not getting any pay. Is that right? The workers’ compensation laws may entitle you to total temporary disability pay as a result of missing work due to a workplace injury. The Law Office of Jeffrey Friedman, P.C. will promptly investigate whether a petition may be brought if a client is wrongfully not receiving this pay. My work injury is from repetitive trauma, not a sudden accident. Do I have a claim under workers’ compensation? Carpal tunnel syndrome and other types of repetitive injuries may entitle you to benefits under the workers’ compensation laws. The Law Office of Jeffrey Friedman, P.C. does not rely on inexperienced attorneys to do legal work. For specific information to your legal questions, please consult with an attorney.